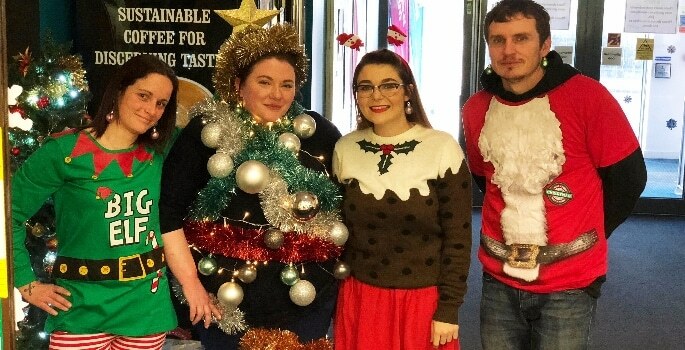 Staff at student accommodation provider, Campus Living Villages, have donned their novelty knitwear and donated hundreds of toys and food items for families in poverty this Christmas. Employees from Campus Living Villages wore their festive sweaters to celebrate National Christmas Jumper Day on Friday, December 15 and carried out a toy donation and Foodbank drive across their 15 Villages across the UK. 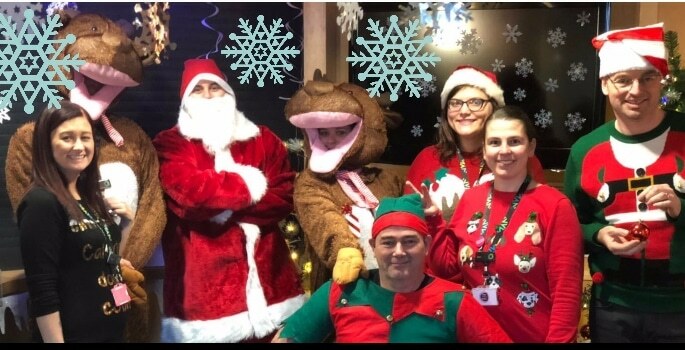 This included their Salford-based staff, at MediaCity and University of Salford Student Village, gathering more than 100 toys and donating £250 for the Wood Street Mission’s Christmas Appeal. The Manchester-based charity supports children and families in poverty across Manchester and Salford throughout the year, but at Christmas they supply toys and food parcels for families experiencing hardship. Students and staff at Campus Living Villages’ other locations have also been doing their bit by providing a lifeline for those on the breadline, supporting foodbanks across the country. Alex Mayes, corporate responsibilities and communities manager of Campus Living Villages UK, said: “While many people will be looking forward to the Christmas festivities, for families affected by poverty it can be a very difficult time of year, but thanks to charities up and down the country, like the Wood Street Mission, some of the more disadvantaged people in the UK can look forward to a brighter festive period.